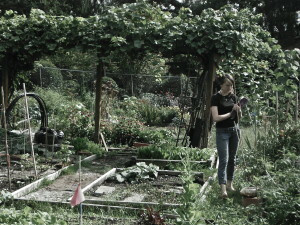 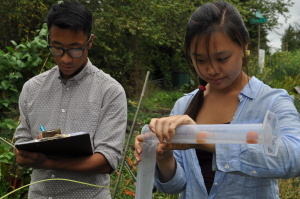 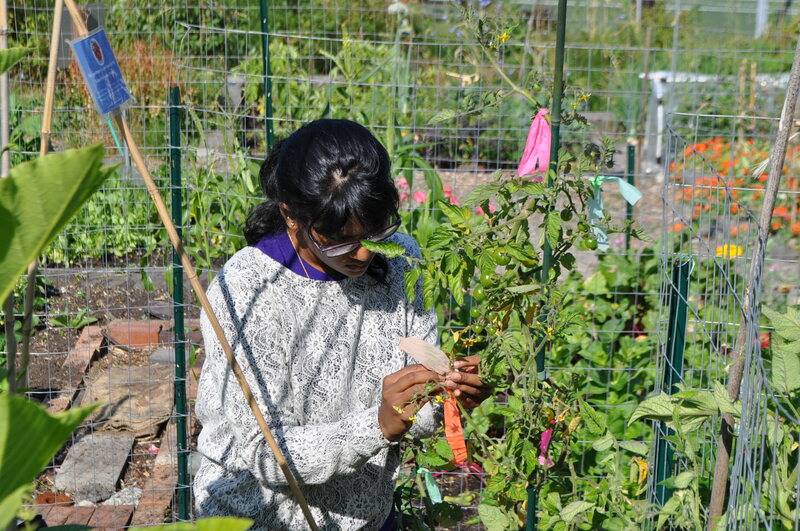 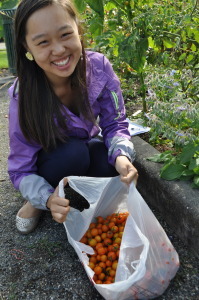 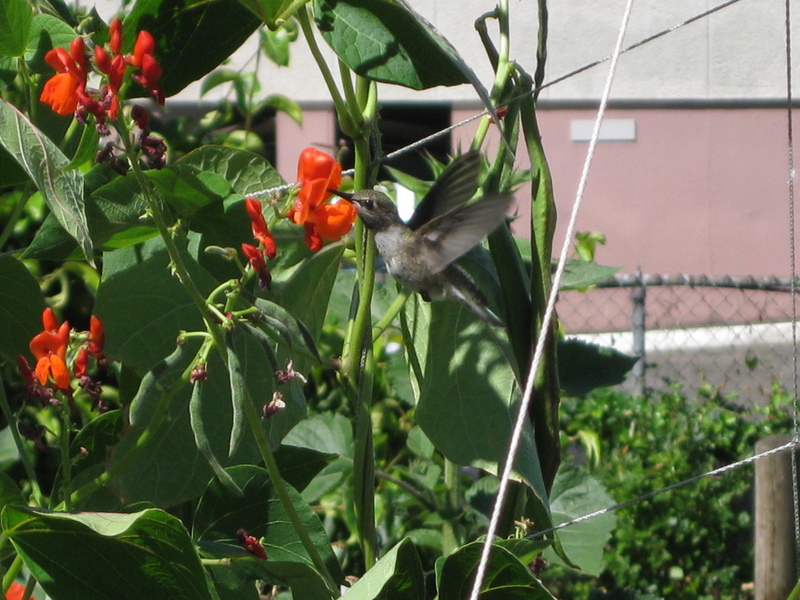 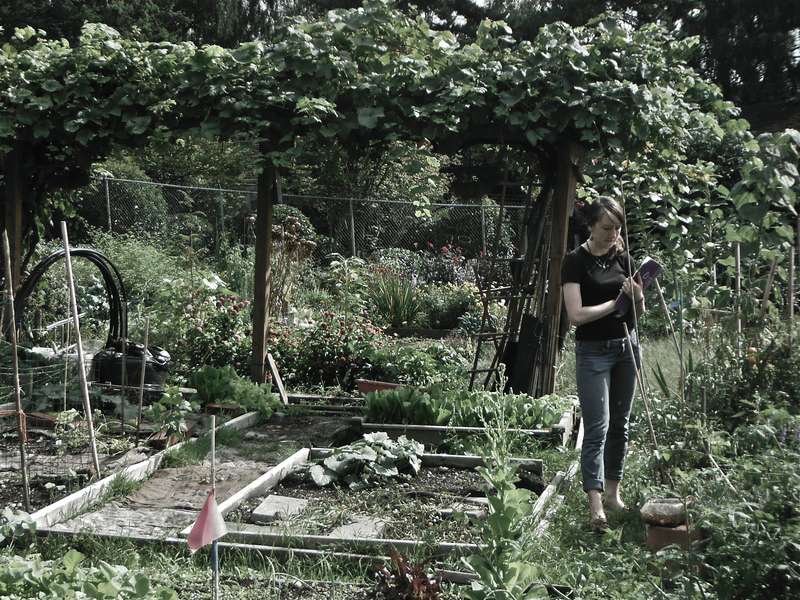 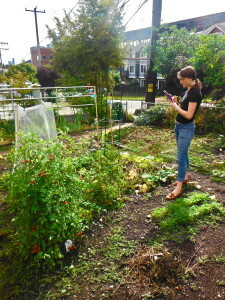 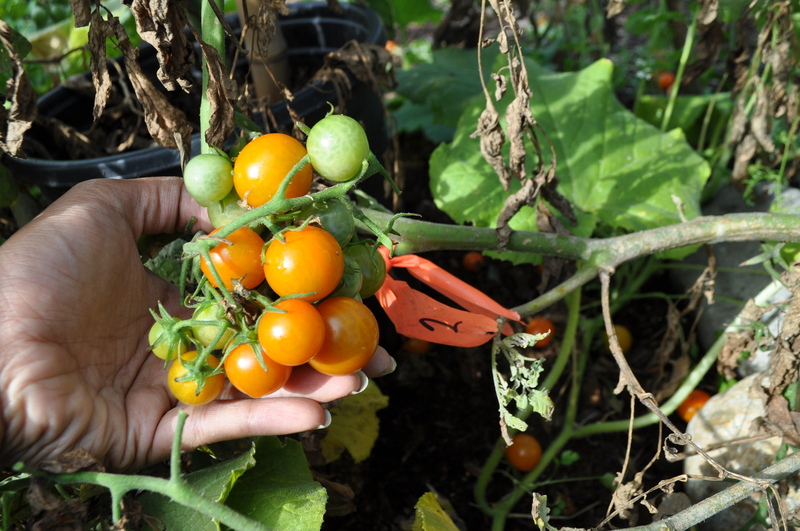 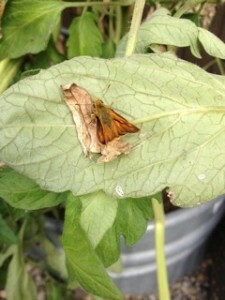 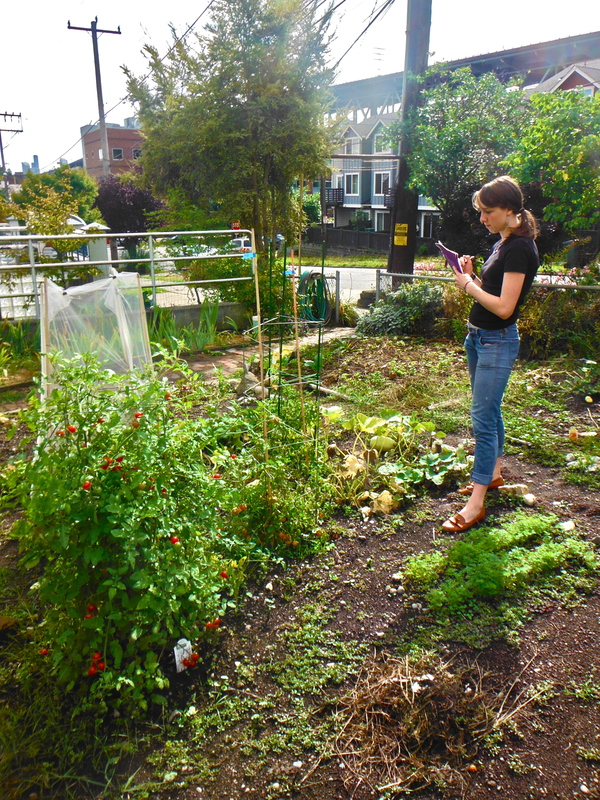 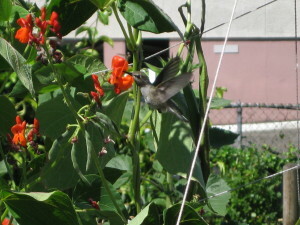 UPP intern Ina Dash ties ribbons to mark treatments on a tomato plant. 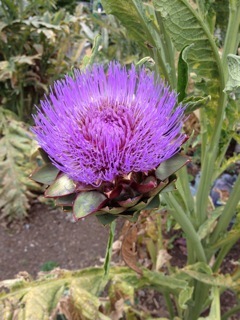 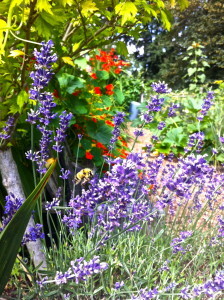 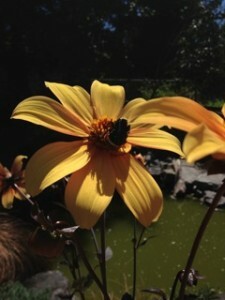 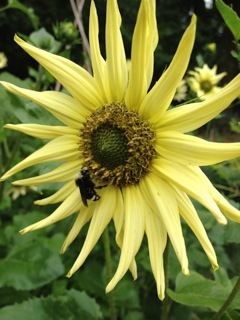 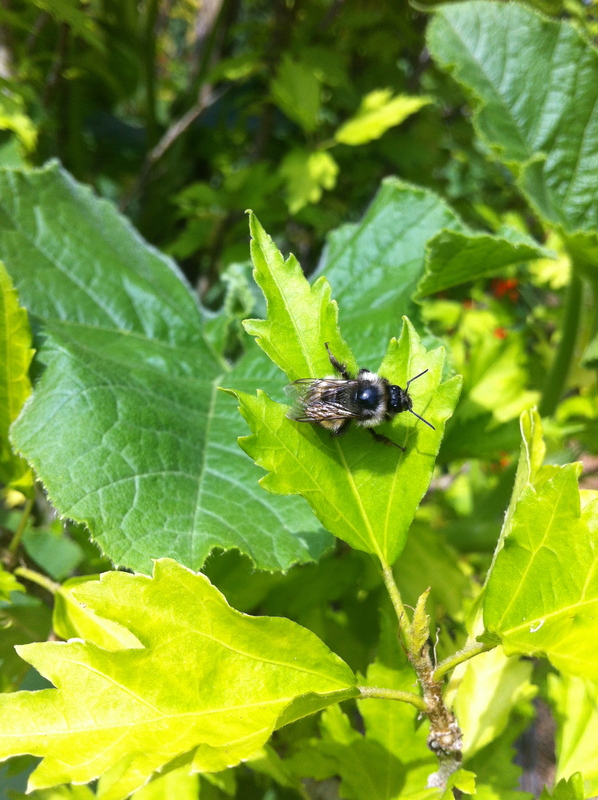 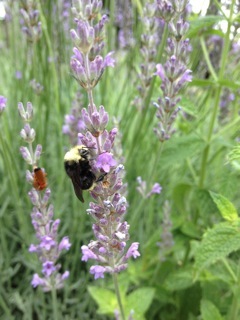 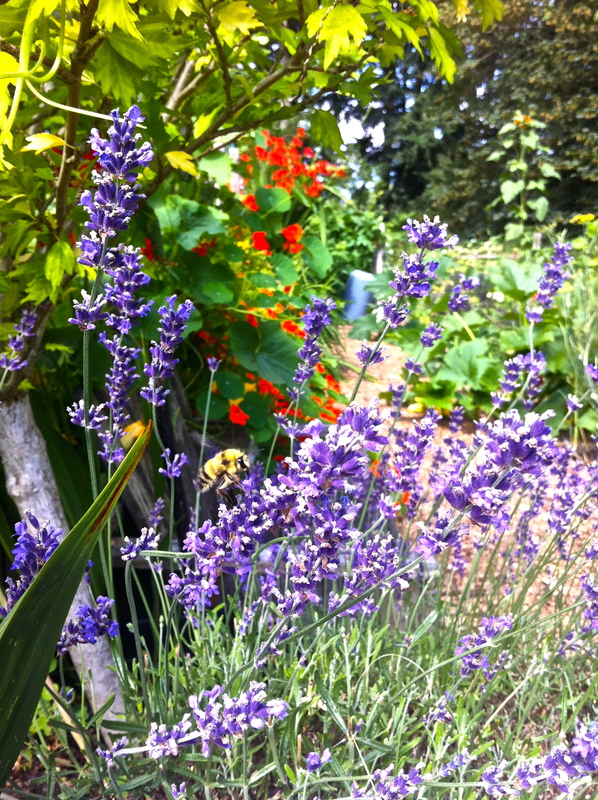 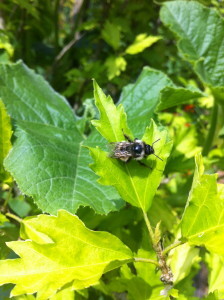 Thanks to Ina for sharing many of her wonderful photos! 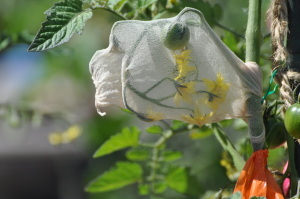 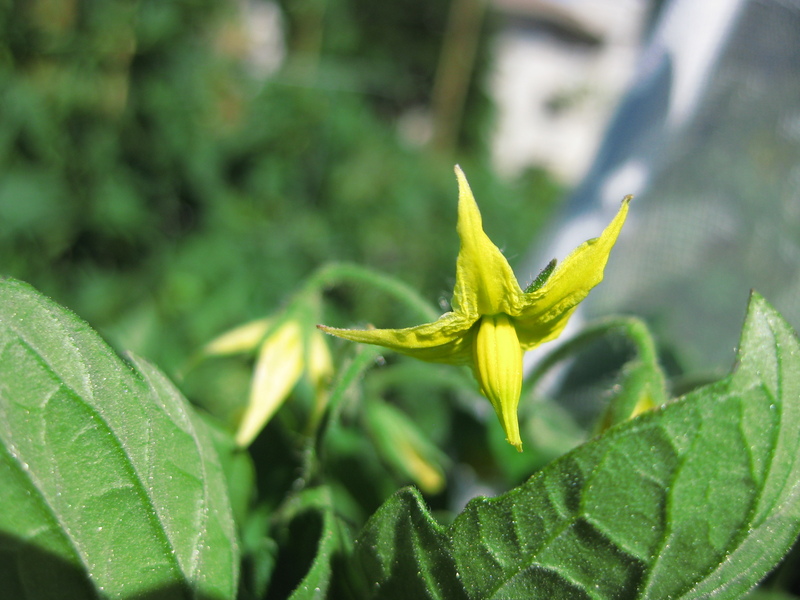 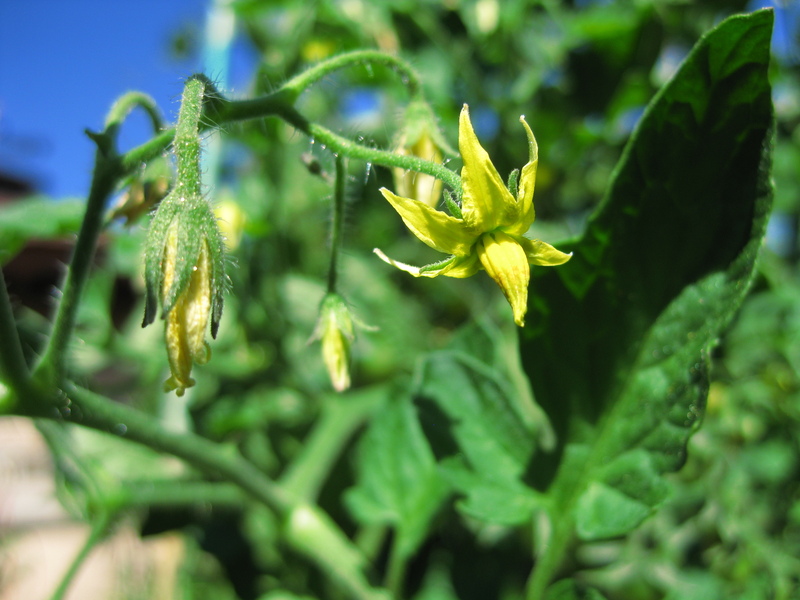 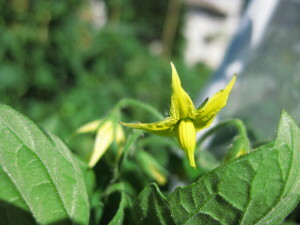 Tomato flowers enclosed in a nylon footie to prevent pollinator visits…and the tomatoes themselves! 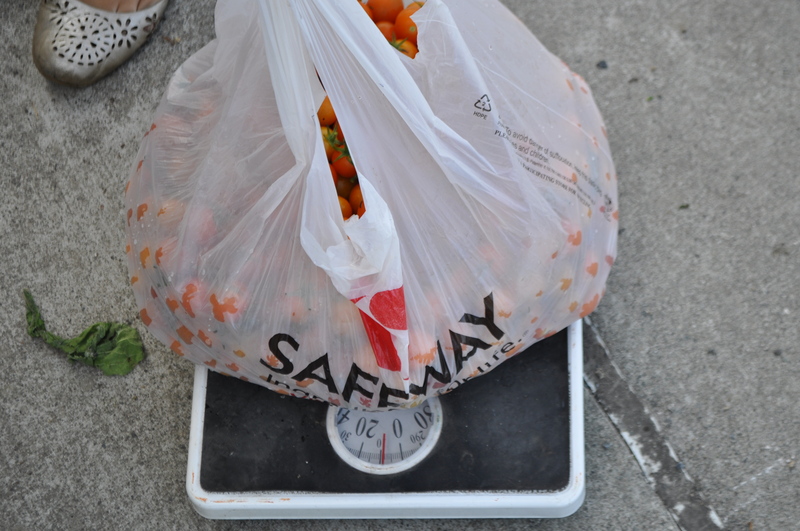 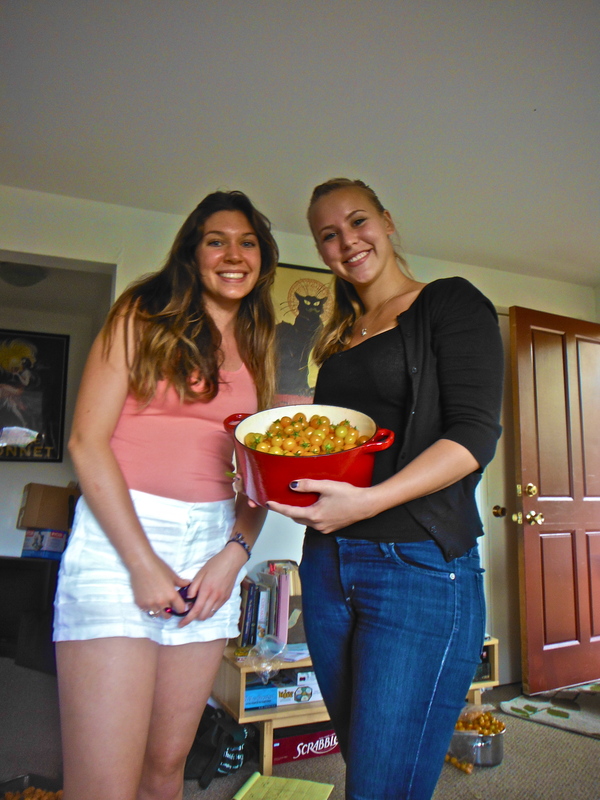 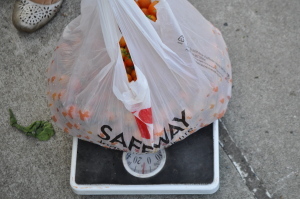 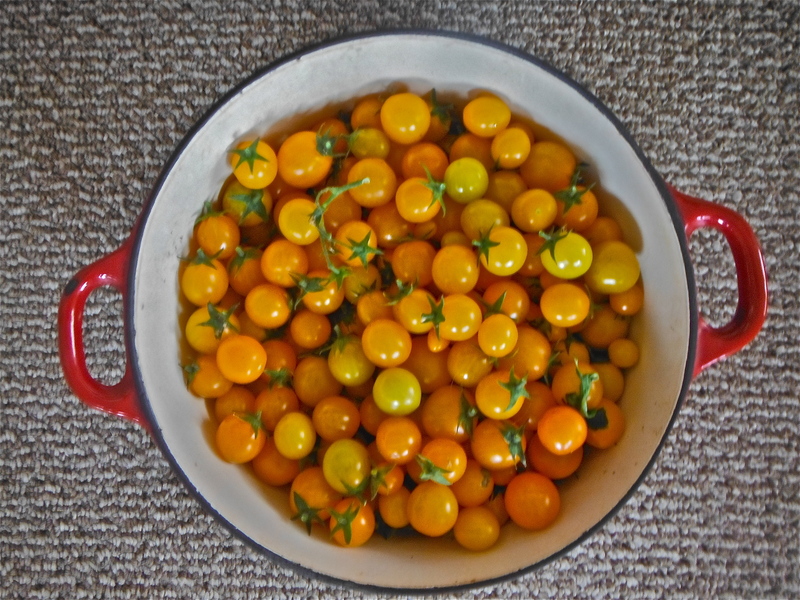 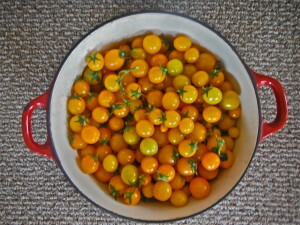 Weighing one day’s harvest of donated cherry tomatoes!